Art has served on the State Mobility, Regulatory Response and Global Standards Committees of the National Association of State Boards of Accountancy (NASBA). He recently served a three-year term on the AICPA Auditing Standards Board, in addition to serving seven years on the North Carolina Board of CPA Examiners. On the Board of Examiners, he served as President, Vice President and currently serves as Treasurer and Chairman of the Professional Standards, Audit, and Personnel Committees. 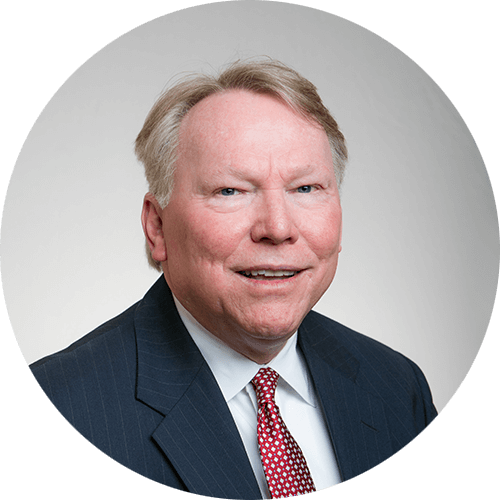 He is a past member of the North Carolina Association of CPA’s Peer Review Executive and Audit and Accounting Committees. He has served on the following AICPA ASB Task Forces: Risk Assessment, Auditor’s Report, Internal Control, and chaired the Task Force for Special Considerations-Fair Value, Inventory, and Litigation Claims and Assessments. He has also served on the AICPA Board of Examiners Practice Sponsor Group for the evaluation of the future of the CPA exam. He teaches Ethics for CPAs and accounting and auditing continuing education courses throughout the country. Art is a life member and past president of the Greensboro Jaycees, where he served on the GGO Executive Committee, currently the Wyndham Championship, and the Nike Greensboro Open Executive Committee. He currently serves as Treasurer of the Wyndham Championship Founders Club. Art has served as an Elder, Deacon, Sunday School teacher, Cub Scout Packmaster, youth advisor, and a frequent committee chairman within the Presbyterian Church. He has served as Chairman and Treasurer of the Guilford County Democratic Party. Art has been involved with the Old North State Council of Boy Scouts and currently serves on its Executive Committee, the Greensboro One Task Force Committee, the American Cancer Society, the City of Greensboro Human Services Commission, the Community Development Commission, Greensboro Transit Authority, and the Greensboro Center City Committee. He is a former member of the Greensboro Visions Bond Committee and the Chamber of Commerce Governmental Liaison and Community Planning and Development Committees and the Guilford County Education Alliance. Art has served as Chairman of the Greensboro Coliseum Commission and as a member of the City of Greensboro Comprehensive Growth Plan Steering Committee. He has also served on the Board of Directors for the Piedmont Triad Chapter of the Juvenile Diabetes Foundation, the Community Foundation of Greater Greensboro Development Committee, and is a member of the Greensboro Sports Council and Greensboro 100 Club. He currently serves on the Board for the African American Atelier, Past President of the Greenhill Center for NC Art and the Forge. Art is active in federal, state, and local politics, and is also the founding partner of Noah’s Ark Investment Club. Art enjoys spending time with his wife Mary, daughters Mollie and Emma, and his immediate family. He is an avid golfer and often plays at Starmount Forest Country Club, where he served on the Board for nine years, including two years as President and currently now serves a third term as Board President. IBM’s Watson – What Does H&R Block Know? How will we meet the expectations of financial statement users? Are we going to be challenged to address the financial future of an auditee, the sustainability of the auditee and its environment, the creditworthiness of the auditee? I believe we will.